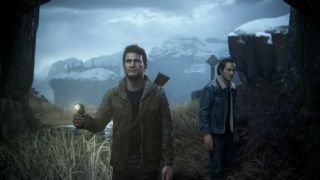 Naughty Dog and Sony are planning to hold an open beta for Uncharted 4: A Thief's End on PS4, a listing on the European PlayStation Store has revealed. The open beta will run this weekend, starting March 4 at 5PM GMT and running until March 6 (end time yet to be specified), and will let you try the team deathmatch mode on three different maps. This follows a closed beta, which ran in December for people who bought Uncharted: The Nathan Drake Collection, however that featured just two maps. While the listing hasn't yet appeared on the North American site, we expect it'll be there shortly. We've asked Sony to confirm the specifics, as it's yet to make any big announcement.